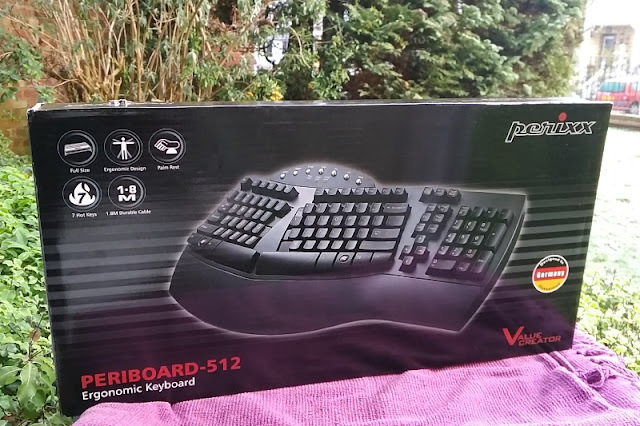 Like with all new things, there is always a learning curve and keyboards are no different especially split ergonomic keyboards such as the Perixx Periboard-512. 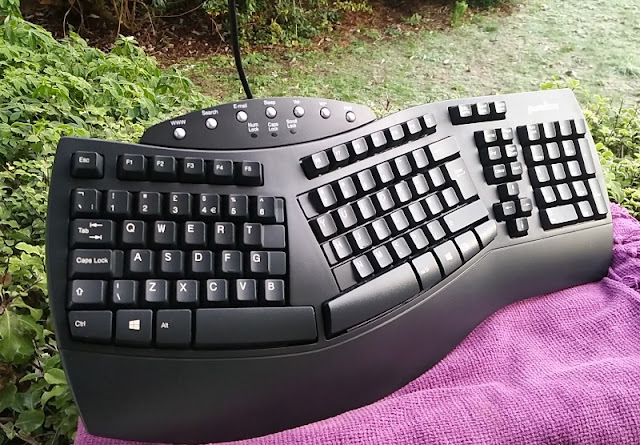 The typing experience on an ergonomic keyboard is rather unique and the Periboard 512 is no different particularly if you are used to typing on PC keyboards with standard layouts. 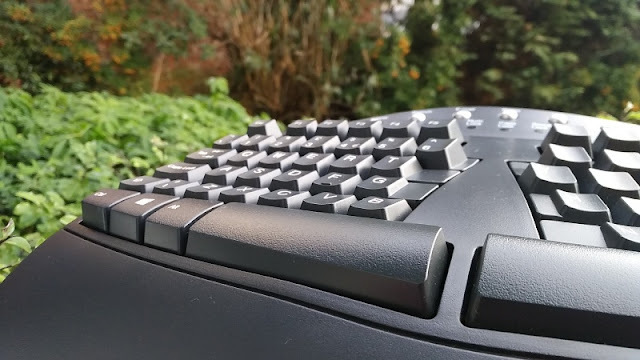 While the learning curve will be longer for a seasoned typist used to a straight-layout keyboard, getting to grips with the Perixx Periboard-512 split layout keyboard is not as difficult as it seems even though the middle keys (arrow keys, page up/down etc) are arranged in an strange formation. 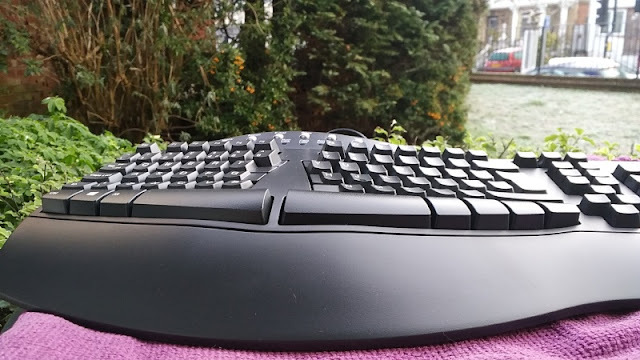 After a few hours of typing, you surprisingly get used to the Periboard-512 ergonomic keyboard fairly quickly. It helps also that the keys are tactile as they provide a more comfortable typing experience. 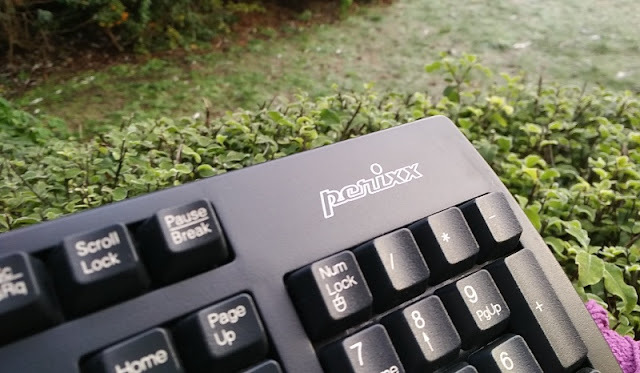 The Perixx Periboard-512 is a membrane keyboard so it uses membrane keyboard key switches which are not as loud as mechanical key switches. If low typing sound volume is a requirement for you, the Periboard-512 is right up your alley. 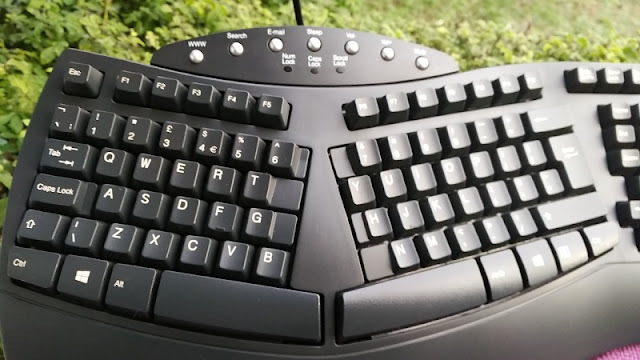 Even if you are a hunt-and-peck typist who uses two fingers to type, you will like typing on the Periboard-512 membrane keyboard because the thuds as you hit the keys don't resound nearly as much as, say, a blue switch mechanical keyboard. The shortcut multimedia hotkeys are a nice touch. 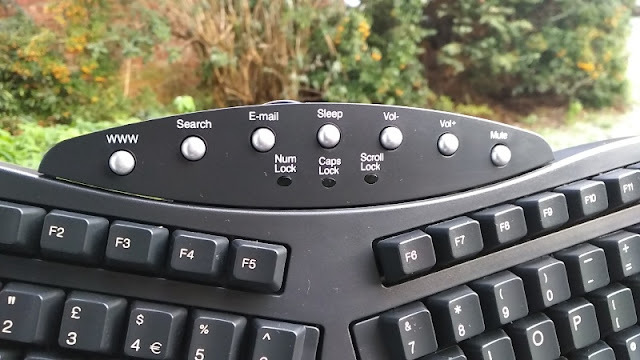 You get a total of seven shortcut buttons including Internet browser (www) shortcut key, Search shortcut key, Open e-mail shortcut key, PC sleep mode shortcut key, volume up and volume down shortcut keys and mute shortcut key to instantly mute your PC speakers. While the Perixx Periboard-512 shortcut buttons are made for Windows computers and there is no dedicated Mac command key for Mac users, the Perixx Periboard-512 Windows "Winkey" key can be used as the Mac command key. The Windows command key is the key with the Windows logo, between the Ctrl and Alt keys. 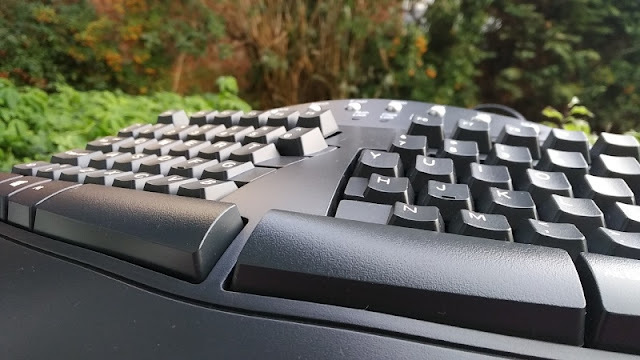 To use the Windows command key on a Mac computer using the Perixx Periboard-512 you simply press the Windows key followed by C, X or V to copy, cut and paste. On a Windows computer, you would press the usual Ctrl+C, Ctrl+X, or Ctrl+V to copy, cut, and paste. 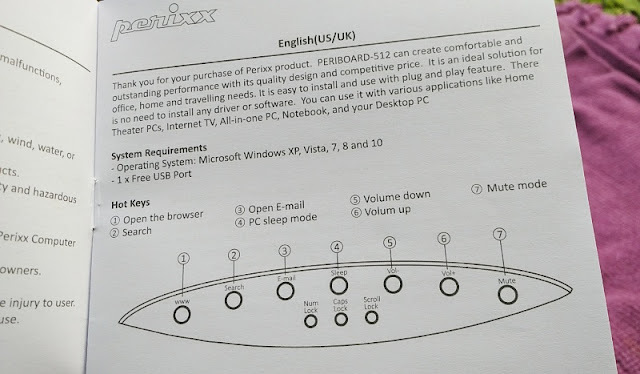 The Perixx Periboard-512 keyboard works with old and new Windows operating systems, namely Windows XP, Windows Vista, Windows 7, Windows 8 and Windows 10. While there is no mention on the user guide that the Periboard-512 keyboard supports Mac computers the Periboard-512 keyboard does work with Mac computers. In fact, any USB keyboard will work on a Mac. The only issue with using a PC keyboard like the Perixx Periboard-512 with a Mac computer is the placement of the Mac Command key which will be different from what you're used to. If you're tech savvy though you can place the Command key just left of the space bar on the Periboard-512 by remapping the keys from System preferences from the Apple menu bar. From there you simply swap the control and command key functions. While membrane keyboard keys tend go a bit mushy over time, membrane keyboards are more reliable because membrane switches do last longer. 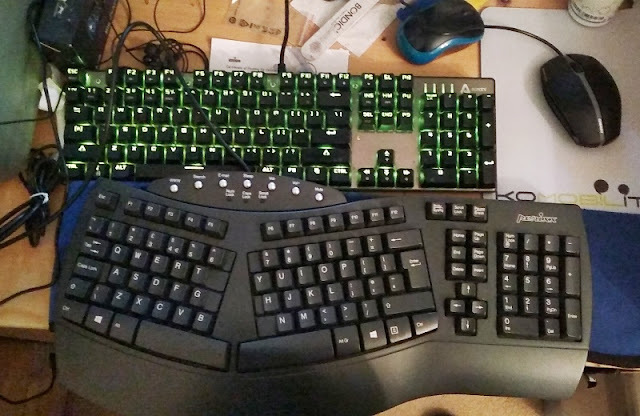 Membrane keyboards are definitely a better investment than mechanical keyboards and three times cheaper in price. 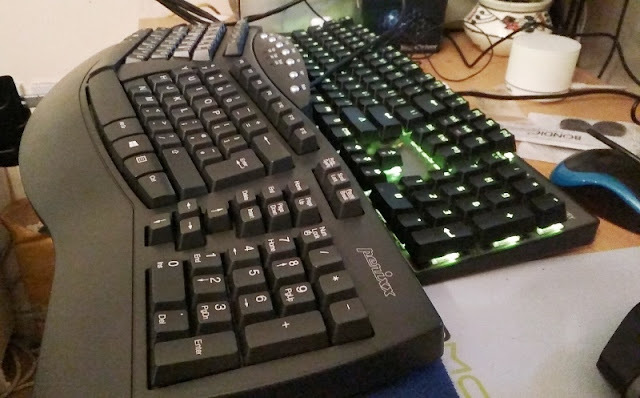 If you aren't looking to be doing much gaming, the Perixx Periboard-512 is perfect for an every day ergonomic typing experience. Beneath the shortcut hotkeys, you find the Num Lock, Caps Lock and Scroll Lock led status indicators. Many keyboards don't usually have the status leds placed next to the keys they represent and while the Perixx Periboard-512 doesn't either the Num Lock, Caps Lock and Scroll Lock status leds are at least adequately labelled for any user to know which one is which. 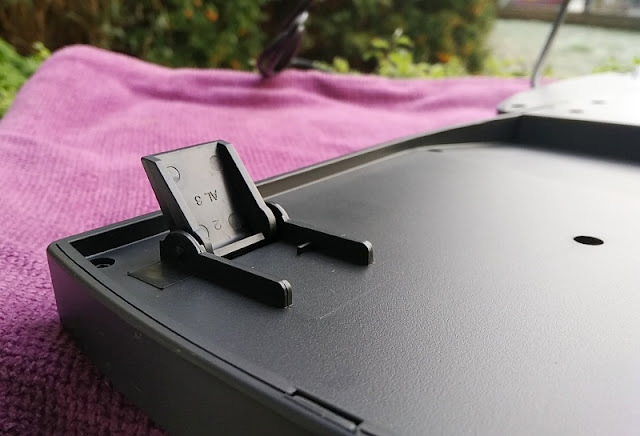 On the bottom of the Perixx Periboard-512, you find three rubber feet and two leg stands to raise the keyboard. 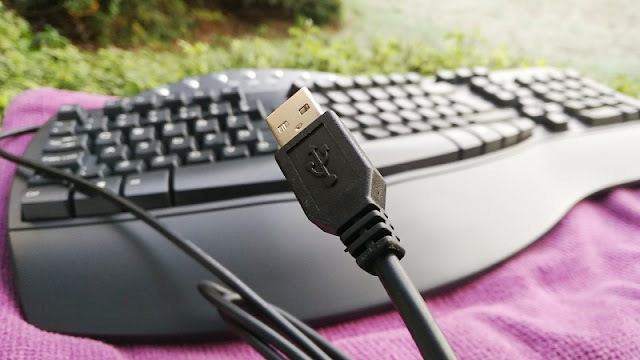 The rubber-sleeved USB cable is 1.80 meters long. 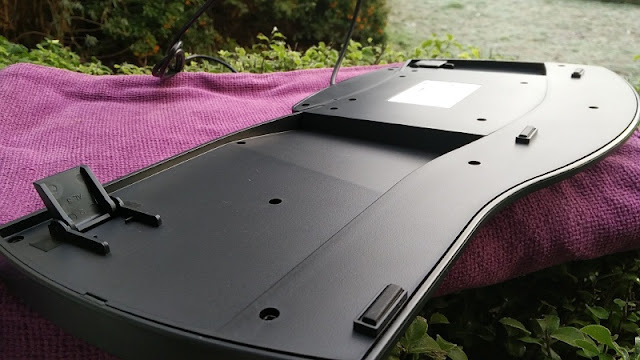 The Periboard-512 keyboard is constructed with hard resin (Polystyrene), silicone rubber and thermoplastic (ABS) so it's durable and fairly lightweight weighing a little over one kilogram. 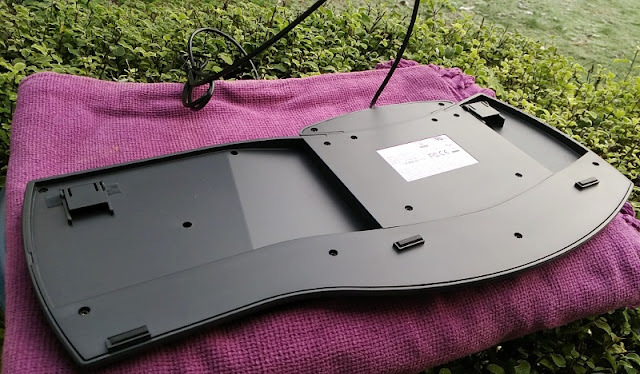 The dimensions of the Periboard-512 are 48.5cm long, 23.6cm wide and 4.4cm high. 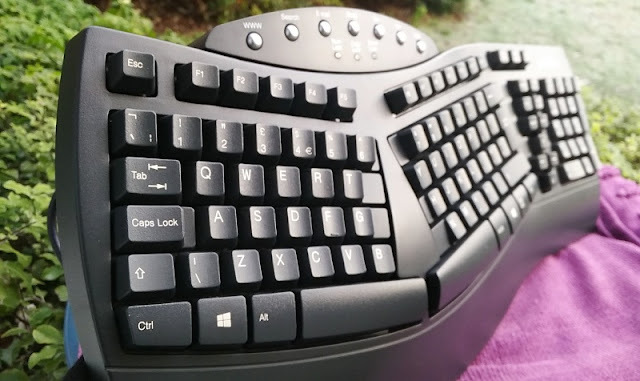 There is a non-removable palm wrist rest on the Perixx Periboard-512 3 dimensional keyboard that provides some support on the wrists which is nice but the palm rest is not cushioned. Cushioned wrist rests tend to be better at reducing fatigue and preventing carpal tunnel syndrome although that's a bit of debate according to whom you ask. 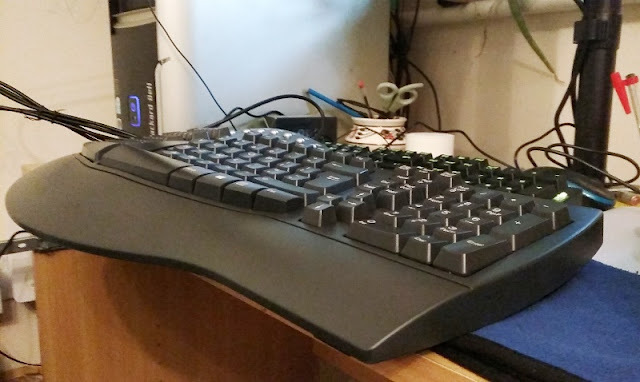 Most people agree though that a wrist rest is not substitute for proper typing technique which should be typing with straight wrists while the wrists are hovering over the keyboard.